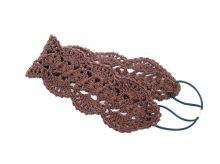 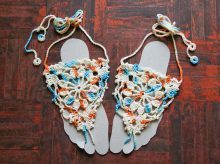 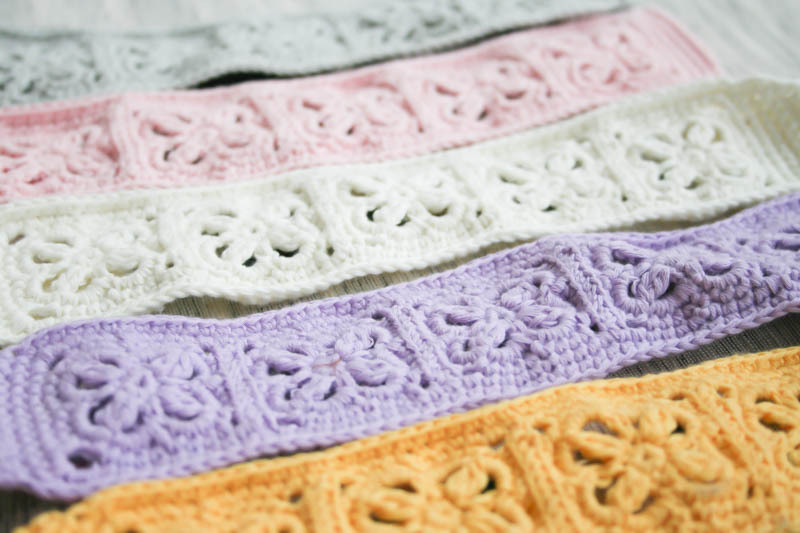 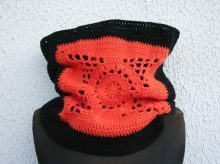 Crochet Flower Headband with Elastics in soft Cotton yarn. 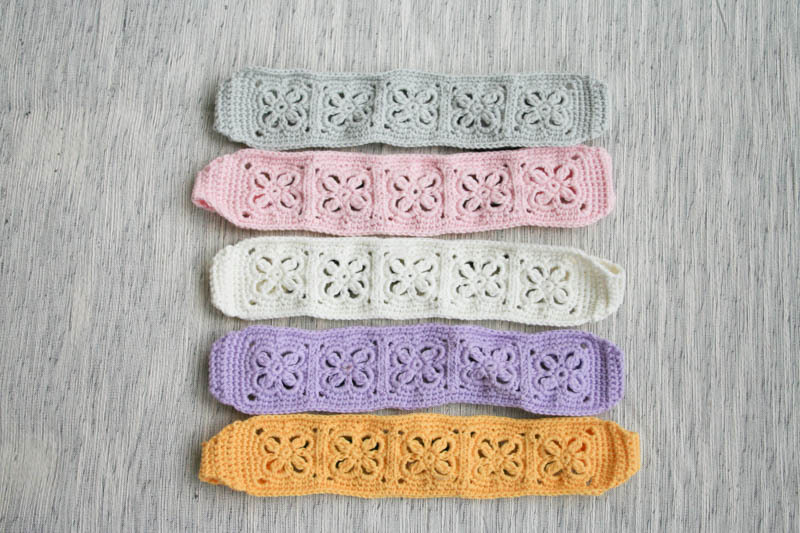 This beautiful headband consists of 5 squares of flower. 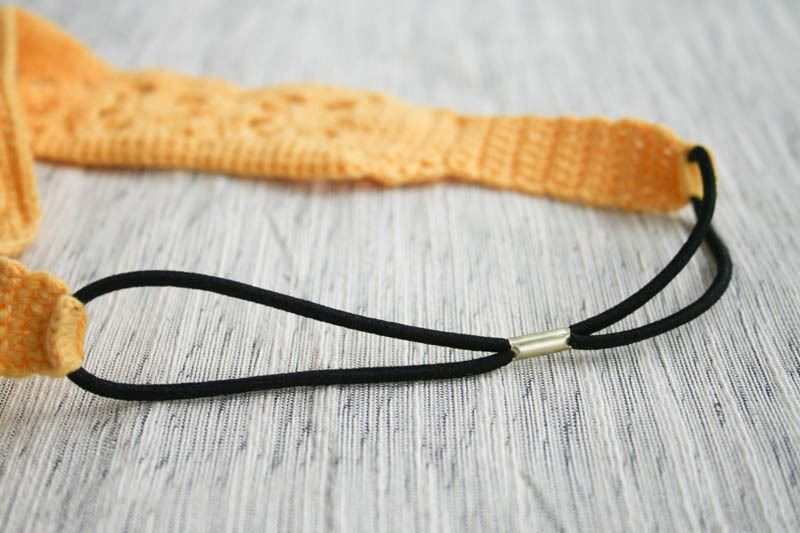 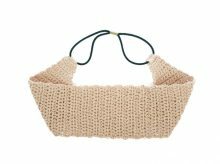 It is a perfect gift for stylish women and great as Summer hair accessories.